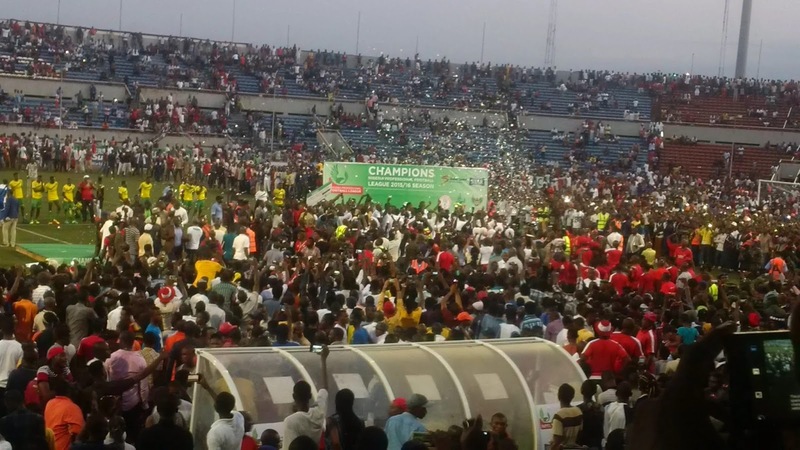 The wait is finally over as Enugu Rangers claimed their first league title since 32 years as they hammered El-Kanemi Warriors 4-0 at the Nnamdi Azikiwe Stadium, in Sunday’s Nigerian Professional Football League match to finish the 2015-2016 season on 63 points. Chisom Egbuchulam netted the opening goal in the third minute from the spot kick before Osas Okoro extended their lead to two goals. At the resumption of the second half, Egbuchulam scored a brace to complete a perfect hattrick to the delight of the cheering Rangers fans, who had come enmass to celebrate their darling team to victory. Both teams will represent Nigeria in next year’s CAF Champions League, while third-placed Wikki Tourists, who defeated Sunshine Stars 2-0, will feature in the CAF confederation Cup.